Welcome to the Tatton Park Triathlon which will be hosting a standard distance triathlon, sprint distance triathlon and super sprint distance triathlon. Entries are welcome from first time triathletes as well as experienced triathletes. Do not be daunted if you are a first timer/novice as you will be in good company with a large contingent of first time triathletes expected. For novice triathletes there is a section on the website dedicated to your preparation for the event. You will also recieve e-mail newsletters to further help you prepare. Three race distances are available and all the courses are in the surrounding countryside full details of course lengths are given below. 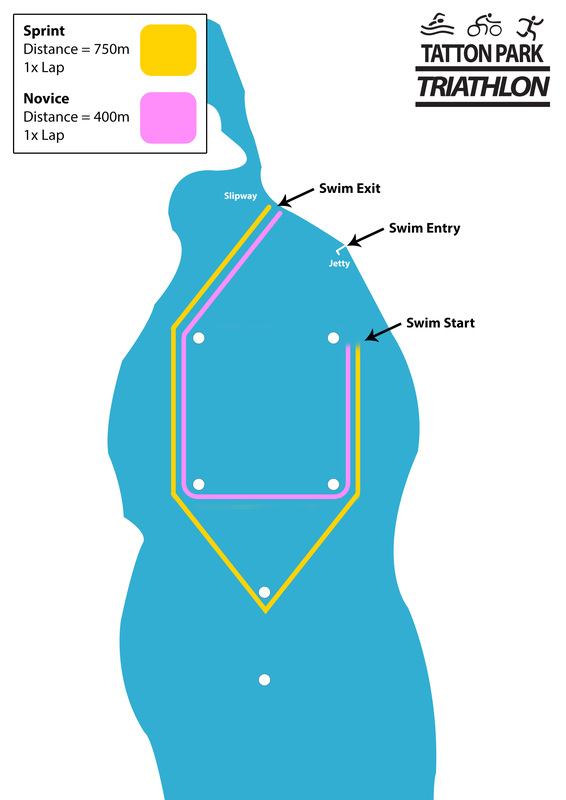 The swim course is in the Mere and you will require a wetsuit. Please try and use your wetsuit before the race and details of wetsuit hire and venues with open water swim sessions are given on this website. The bike course runs through the grounds of the Tatton Park Estate and also the surrounding cheshire countryside. The course is multiple lap to ensure that your supporters and general spectators have the chance to enjoy the racing. Cut off times will be imposed on the bike course whereby if you are on the course after a certain time you will not be allowed to finish the course. The run course is off road and is wholly contained within the estate. The transition area is the same for swim/bike and bike/run. The race will be run under the British Triathlon Federation rules and refereed by their sanctioned referees. Please ensure you are aware of the rules regarding drafting for the bike course as you may attract time penalities otherwise. Full details of the rules of the British Triathlon Federation can be found by clicking the British Triathlon button to the right of this page. The venue is located 5 minutes from junctions of the M56 and M6. 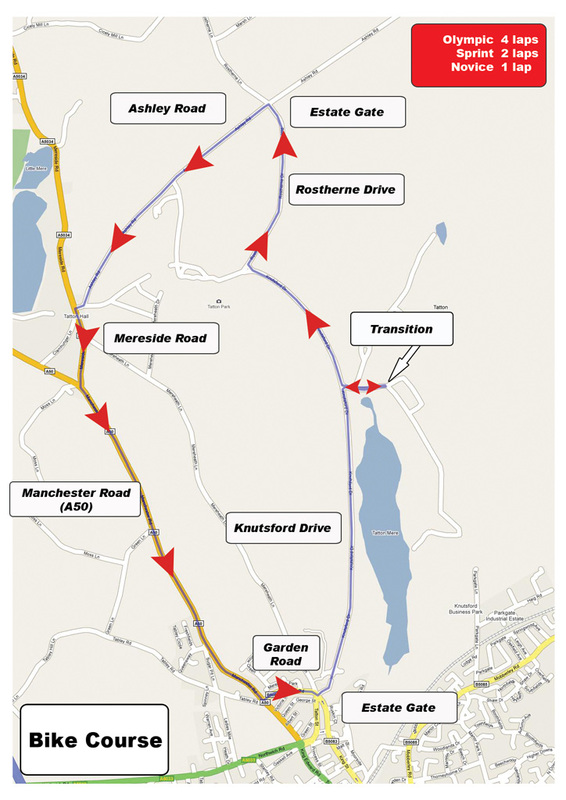 Access to such good traffic links means that you will probably not have to book local accommodation near the venue. Parking is available at the venue in dedicated areas used for large exhibitions and concerts held at the park. Please arrive in good time to give yourself sufficient time to register, rack your bike and otherwise prepare for your race. Full details of the estate entrances to be used will be sent in your race information pack. To participate in a triathlon you must be insured and we will provide you with a British Triathlon Federation day license as part of your race entry fee. The day license insurance is third party insurance. Only those entrants who are members of the British Triathlon Federation will not have to pay this fee (membership confers insurance cover). During the entry process you will be asked to give details of medical conditions. This will remain confidential and only be used by the medical team attending the event. If you are feeling ill on the day of the event do not race.